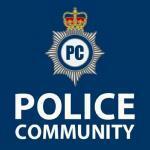 Has anyone got any advice or tips regarding joining the Police? In particular, if you have mid way through your career it would be great to hear your experiences. I am 40, worked since 16, great job and career in the Commercial world, but have always fancied the role of Police Officer. Any advice or story's of your own transition would be really appreciated. We have a guy on our intake right now. He's 55. Don't let age be a hindrance. Have a look round the forum you'll find lots of help. These days joining the police can be a difficult thing. However don't let that put you off. I would check to see if the force you are interested in joining are recruiting and if so whether it's externally as some forces only tend to recruit from existing staff such as Specials, PCSO's and police staff. Have you considered becoming a special constable to see whether you will enjoy the role first as i'll say this it's certainly not for the faint hearted.